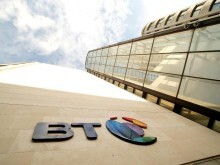 BT has announced the winners of its Tech Factor competition, with a prize fund of more than £20,000 to invest in IT equipment being shared across ten schools across the UK. The competition, which is now in its fourth year, invited schools to demonstrate how they would use technology to prepare pupils for the workplace of the future by boosting their digital skills. Four winners have been selected across a number of categories which recognise entries from primary schools, secondary schools, special educational needs (SEN) schools and after school clubs. Each school was asked to submit a short video to demonstrate how they would spend the funding to benefit their pupils. The winner of the primary school category is Euxton Primrose Hill primary school, based in Chorley, Lancashire, who plan to use the money to invest in equipping an entire class with virtual reality headsets to enhance learning experiences for their pupils. Moor Hey Special Needs School in Preston, Lancashire, impressed the judges to scoop the prize in the secondary school category. The school will be using its prize money to purchase laptops, iPads and virtual reality equipment, to enhance the learning experience of pupils with a range of special educational needs. Debbie Townsend, English subject leader at Moor Hey Special Needs School, commented: “The laptops will be a very welcomed resource for our school and will help enhance learning across all key stages. Our pupils are very proud of this achievement and it has taught them the valuable lesson that 'you have to be in it to win it' and having special needs does not mean that you can't achieve great things in life." Meanwhile, the winner of the special educational needs (SEN) category, Frewen College, plan to use their winning funds to update their equipment, assisting their pupils with special educational needs. Finally, the winner of the after school club category, North Tyneside Trust’s Little DigiLadies club, based in North Shields, will be using the funding to help to develop girls’ technology skills. 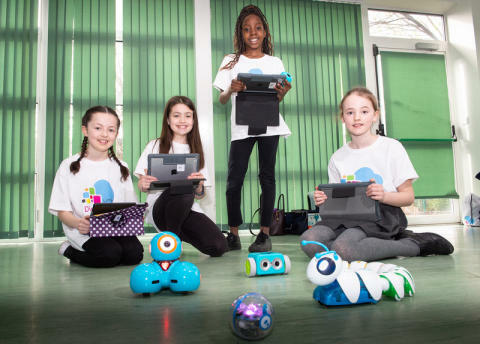 Laura Dickinson, eLearning lead practitioner at North Tyneside Trust, commented: “Our Little DigiLadies were so excited to receive their DigiLadies Kit Box, full of robotic equipment that can be used to run after school coding clubs. The kit boxes are allowing the girls to work collaboratively across schools on coding projects to raise standards, inspiring them to have careers in technology."